We all love our cats and want the best for them. There are six cats in our household. 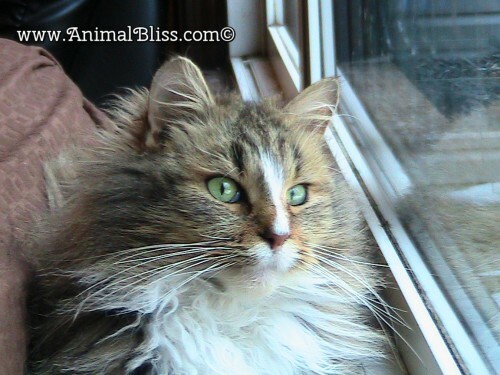 There’s Jessie Cat – she’s 20 years old. And there’s Maisy – she’s 3. 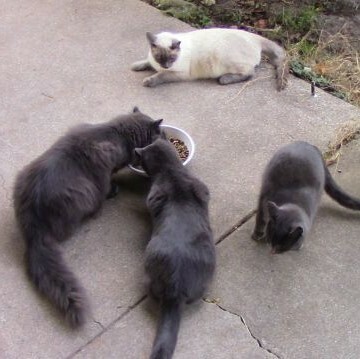 Then there are the four feral cats. At least they were feral this spring when we found them in our barn. We captured them all, had them spayed and neutered, and started to feed them. 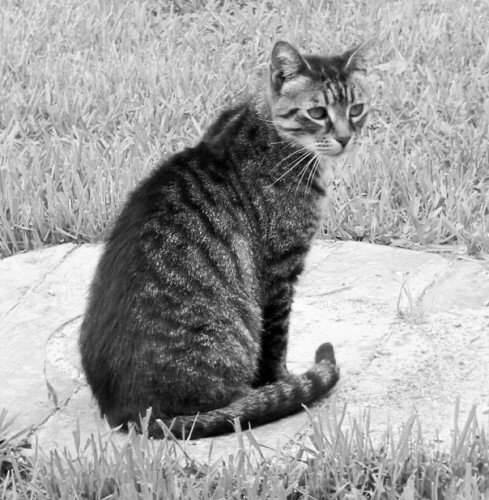 Now, as the colder weather approaches, the feral cats are working their way into our hearts and into our home. So, we have a lot of mouths to feed, tons of kitty litter to buy, and 120 nails to groom and sharpen. I bring you what I feel are 3 practical products your multiple cats need. Being familiar with having multiple cats in the house, I’ve come to discover the 3 most important products your multiple cats need, aside from quality nutritious food. Disclaimer: This post contains affiliate links. That means that if you make a purchase by clicking on any of these links, I may earn a (teeny tiny) commission. It’ll just be enough to buy myself a coffee, maybe. 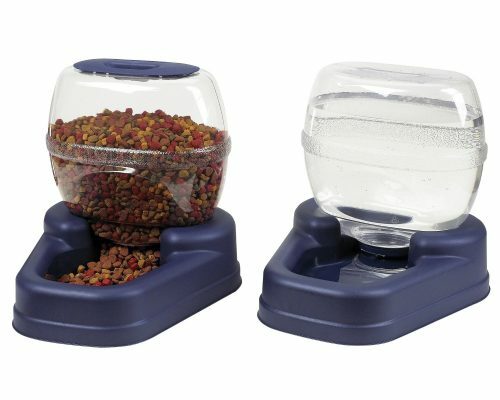 Let me suggest an automatic feeder for dry kibble, and a waterer so you don’t have to fill the water bowl so often. This set is called the Bergan Gourmet. The combo includes a waterer with 1.5-gallon capacity and a feeder with 6lb dry food capacity. It’s easy to clean, and it’s made in the USA. Click Here for plenty of other cat feeder and watering choices. The litter box I fancy the most is the IRIS Open Top Cat LITTER BOX KIT with Shield and Scoop. (I do apologize for the blurriness of the image.) I love this kit because of the high sides. If you have cats that shoot pee straight out the back, you’ll understand. The bottom part is deep too, so you can put lots of litter in it. I use Arm & Hammer Multi-Cat Extra Strength Fresh Scent Clumping LITTER, the 40 lb box. It’s so easy to maintain. I have it where I can easily see it when I walk past. That way I can scoop as often as I like rather than just do it once a day or so. Click Here for more kitty litter boxes. Every multiple-cat family should have plenty of places for their cats to scratch. And I’m not talking about your furniture. 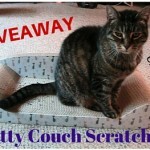 They need scratching posts or scratch pads, which either come in compressed cardboard or sisal rope. Combine their need for scratching with their need for climbing, and you have a Cat Tree. There are so many varieties of these, and you can also buy kitty condominiums, which are loads of fun. 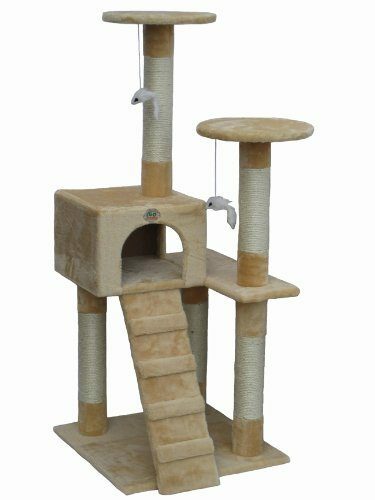 The one I feature here is the Go Pet Club Cat Tree Furniture Beige. It’s nice, simple and affordable too. 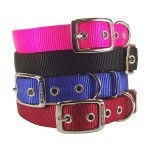 For other styles and prices, Click Here. PLEASE READ THIS: If your cats DO scratch your furniture or ruin your curtains, please DON’T have their claws removed. Cats that have this procedure done have each toe amputated up to the first knuckle and suffer a great deal of pain. Not only is it unnecessary, but it’s CRUEL and outlawed if most countries and many States. 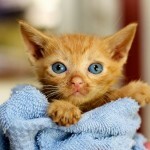 Read, “Reasons Why You Should NEVER Declaw Your Cat” for more information. Every now and then no matter how sweet our little angels are, there may be accidents, or that litter tray isn’t high enough, or maybe your kittens aren’t litter trained yet. 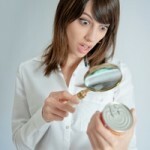 We all know how bad cat urine can smell, and it’s so difficult to get rid of. 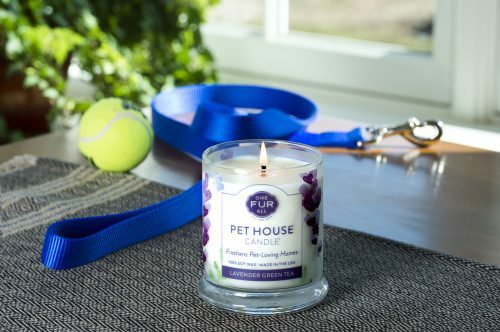 I recently found House Pet Candles, 100% soy scented candles that I know you’ll love. We love the Gingerbread Cookies scent that we got, and the Peppermint one too. The Lavender Green Tea is my next choice. Read my review here. Go on, try one. 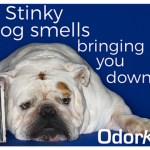 You won’t even have to light it get the benefit of the aroma. 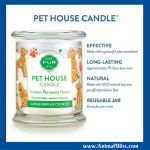 Pet House Candles have an odor neutralizer that I swear works. Just put the candle near the bad smells and see what happens. Buy a couple today and get 5% OFF your order when you use the Promo Code: BLISS13 at the checkout. My hope is that you have gotten some ideas from reading this post. Maybe you have something you’d like to add to the list of important products your multiple cats need? Tell us below. A QUESTION FOR YOU: How many cats do you have? Checking the Amazon.ca site showed similar markups. Maybe I will just recover the one I have. Yea, Canadian shipping fees are insane! My brother and sister send me stuff from there and I can’t believe how much they spend on shipping. Ouch! I’m curious, did you find one on Amazon.ca? These are such awesome suggestions! I need to pass this along to my neighbor who has 3 cats. She loves them! Thanks for the product ideas. We have four cats and have had our share of litter box “incidents.” That cat attract will come in handy! Thanks for checking out the post, Lori. It’s fun that you have four cats. Yes, I’m sure you have had your share of incidents. 🙂 Come visit us again sometime. How fun! 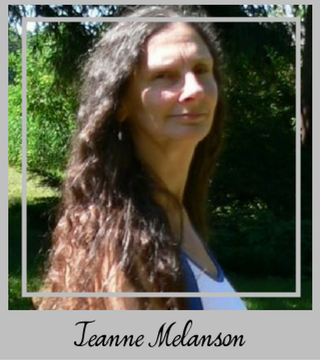 Love all these products…thanks for sharing! !